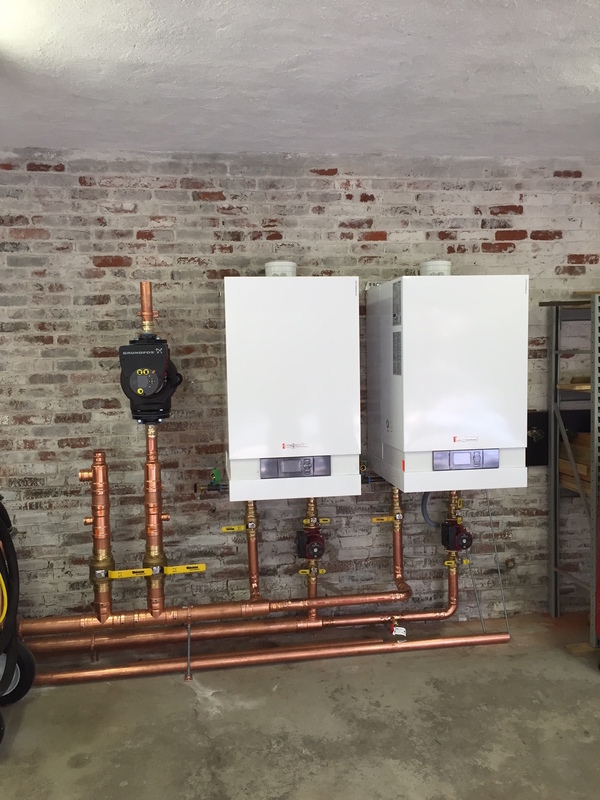 This particular snow melt project required twin Viessmann boilers totaling 1 million BTUs. 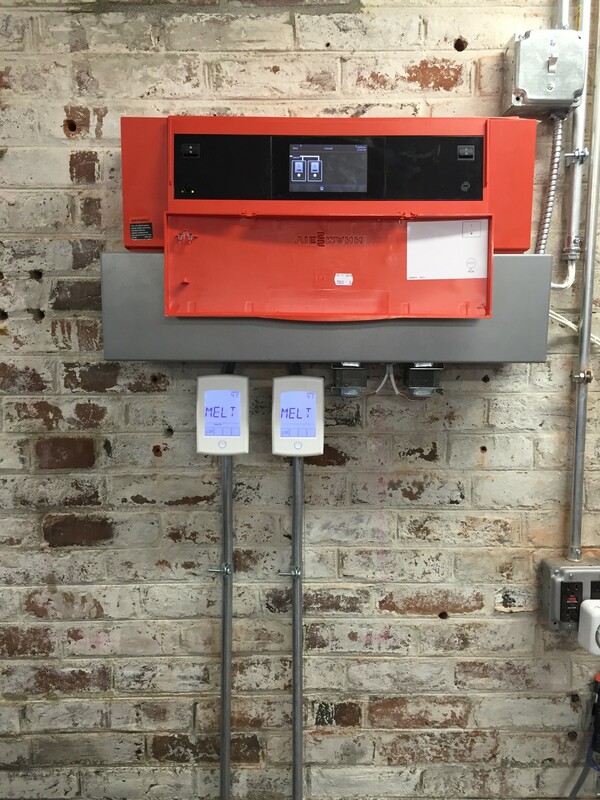 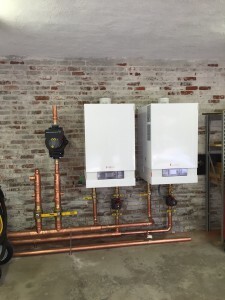 To optimize the system’s efficiency, TJ’s installed a Viessmann cascade control. This control allows us to maximize the efficiency of the system by rotating the boilers, and firing them at the lowest possible firing rate to achieve the highest possible efficiency. 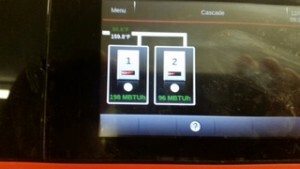 The picture of the screen below shows boiler 1 and 2 at different firing rates. It even has a bar graph showing how close to 100% firing rate each boiler is. 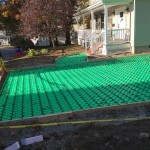 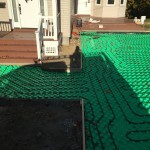 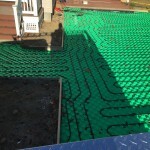 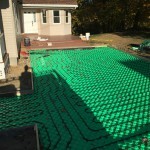 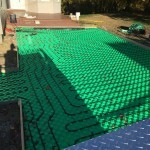 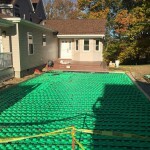 This was truly a seamless installation. 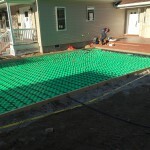 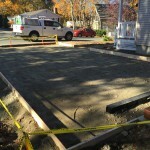 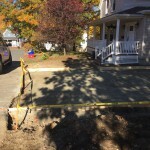 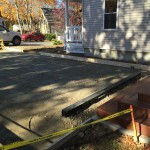 We hope you enjoy our additional photos as the project progressed.